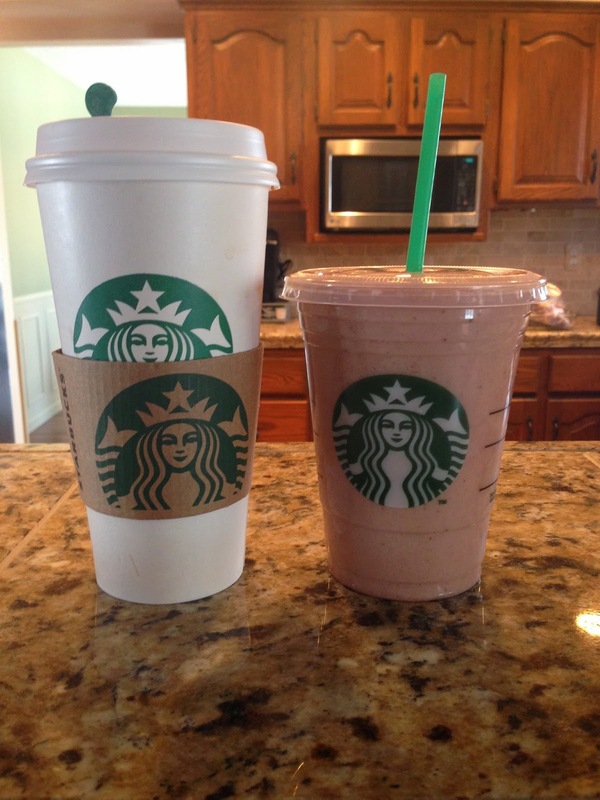 ...a smoothie for my teenager and a latte for me. Thank you Starbucks! We wouldn't normally start our day with such treats. But today is an exception. Sydney has been working on a paper for her American Literature class. She began this project about two weeks ago and has her 1500 word rough draft due this week. Unfortunately, last night, she learned a hard lesson...always back up your work! With the one wrong click on her trackpad, her paper was gone. She walked into our family room with a pale face and tears in her eyes to tell me what had happened. My husband worked for a while in an attempt to locate the unsaved work on her laptop to no avail. What were my options? If I'm being completely honest, my tendency would be to get angry and yell at her for not saving her work. However, God has recently been working on my heart to change my ways. One of the devotions that I am reading this year is Jesus Calling by Sarah Young. It is written from the perspective of Jesus speaking straight to the reader. In yesterday's devotion, I read, "Since I dwell in you, you are fully equipped to be holy. Pause before responding to people or situations, giving My Spirit space to act through you. Hasty words and actions leave no room for me..." By the grace of God and through the power of the Holy Spirit, I was able to remember those words in this moment. Instead of belittling my daughter for a mistake of which she was well-aware, I chose to offer my help. Thankfully, this was a writing assignment and not algebraic equations (math is not this mom's forte). The topic for her assignment was influential Americans. She had chosen Vera Wang, one of my favorite fashion designers of all time. Another positive was that she had hand written her notes so that information had not been lost. We spent the next four hours redrafting her essay. By 2:00 a.m., she had a paper worthy of submitting to her teacher. I had learned more about Vera Wang and her amazing business skills than I would have ever known otherwise. And while I wouldn't have normally planned this as quality one on one time with my child, that is exactly what it was. She is a talented writer with great perspective and ideas. I certainly don't share this to exclaim to you what an amazing and patient mother I am. For this one instance in which I was able to show my daughter love, patience, and grace, there have been dozens more where I have reacted poorly and needed to apologize later...some as recent as last Saturday. I do share this to remind you to offer yourself a little grace. As children, as teenagers, and as adults, we all mess up and need to be forgiven. My hope is that I will learn to not be hasty in my word choices and in my reactions so that my children and others in my life will be able to show that same grace to others.